Animal safari stacking game for two players or more. 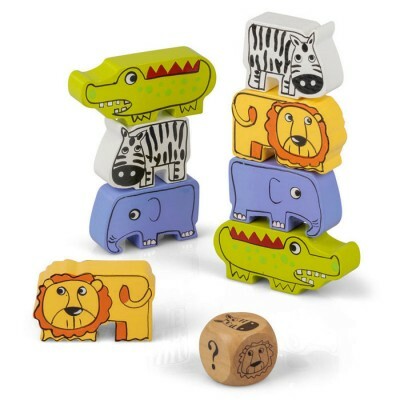 The set includes eight wooden safari animal pieces. two of each including crocodiles, zebras, elephants and lions. Children take turns to roll the animal dice and stack the animal pieces on top of each other, hoping that they won't fall over! The first player to make a stack of four animals is the winner. The chunky playing pieces and easy rules make it an ideal game for younger players.